Each Herfing measures 5 1/2 inches by 54 ring gauge, a size known as a Duke in Cuban factories. It was introduced with some fanfare two nights ago at a release party held in Limassol, Cyprus at the Columbia Steak House. Habanos S.A. co-president Luis Sánchez-Harguindey Pardo De Vera attended, along with government officials, members of the board for Phoenicia Trading and a crowd of Cypriot cigar lovers. 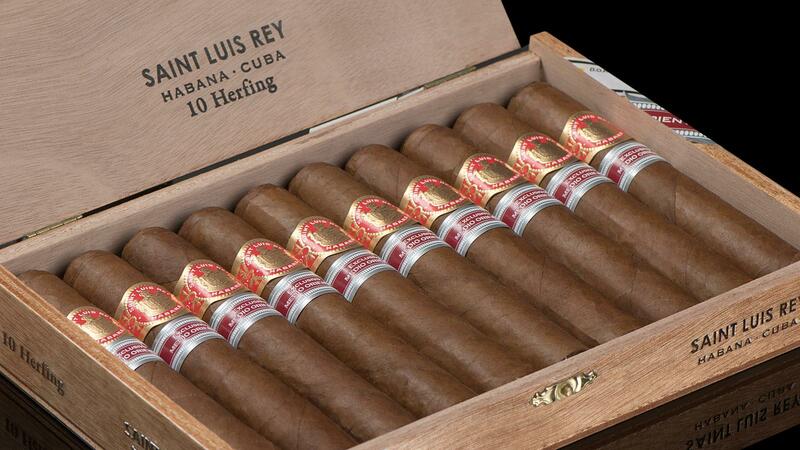 The Herfing comes in 10-count boxes with a suggested retail price of $17 per cigar. Only 7,500 boxes were produced. Each smoke measures 5 1/2 inches by 54 ring gauge, a size known as a Duke in Cuban factories. That size has been quite popular lately, showing up on several new cigars. It shares the same parameters as the Bolivar Soberano Edición Limitada 2018, which just came out, as well as the Regional Edition Punch Duke that just arrived in Mexico. The Partagás Serie E No. 2 is also a Duke. In addition to cigars, cocktails and dinner, another highlight of the release party was a 3-D holographic projection of the cigar, something Phoenicia says is an industry first. Although the cigar was just introduced on the evening of January 30, it was originally intended as a 2017 release, as was the El Rey del Mundo WIH, another delayed Regional Edition that recently arrived in Lebanon.